Here comes a card I did using the Party Pandas stamp set. If you want to have a look at the video that Angie at Chicnscratch did, you can find the video here. 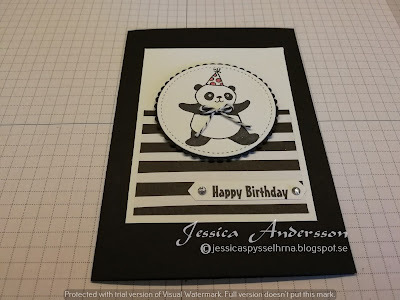 I used black cardstock for base of my card. Then a layer of Whisper White. On the Whisper White I added a piece of Tutti-Frutti designer series paper. 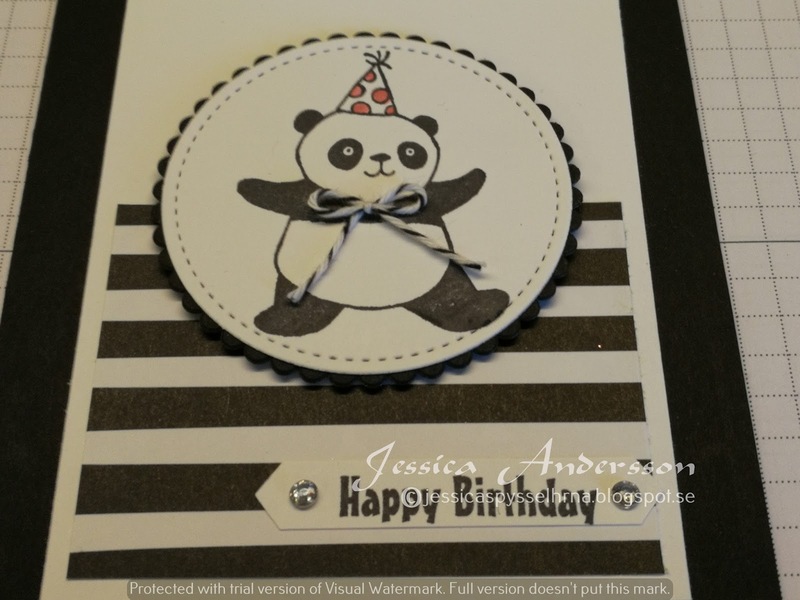 I then stamped my panda and coloured the dots on the hat in Flirty Flamingo. I cut out the panda with a stitched circle that I added on a scalloped circle in black cardstock. Added a bow that I made of the black and white Bakers twine. The greeting is from same stamp set and I punch it out with my Classic Label Punch. Finished the card with som rhinestones.